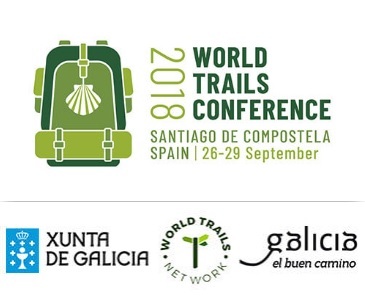 After the last meeting of the World Trail Network (WTN) and the international conference of itineraries of the world held in the city of Kurayoshi, Tottori, Japan between October 14-17, 2016, it was decided that the next international conference of the network is celebrated in Santiago de Compostela, in September of 2018. This international appointment of the World Trail Network, which will be the 7th, will bring to Galicia representatives of the itineraries of the five continents, thus enhancing the attraction capacity of the Camino de Santiago among the users of the said routes. Among those associated with the WTN, and who will participate in the Santiago congress, the following stand out. In China: to China Volkssport Association, the Mountain Journey China; in Japan: the Japan Long Trail Association, the Japan Walking Association, the Kumano kodo (represented by Tanabe City Kumano Tourism Bureau) and the Walking Shikoku Association / Shikoku El-henro; Nepal: Great Himalayas Trails; in Korea: Jeju Mire Foundation, to Korea Walking Federation, etc; in Taiwan: the Thousand Miles Trail Association / Thousand Miles Trail of Taiwan; in Turkey: the Turkey ‘s Culture Routes Society. In Europe it is necessary to highlight the Paths of Greece (Greece) and Lough Avalla Farm Loop (Ireland); in South Africa the Rim of Africa Trail itinerary; in North America: The Bruce Trail Conservancy (Canada) and the American Trails (USA); in Central America Alliance was the Pacific Trail (Costa Rica), Caminando Panama Foundation; in South America: the WWF Brazil; in Australia we must highlight the Bibbulmun Track and the Trails of Western Australia. This international conference will have a significant projection for Galicia in general and Santiago de Compostela and its ways in particular, as speakers and congressmen from all five continents participate, representing various cultural, ecological and pilgrimage itineraries from all over the world. Its sessions will consist of various lectures and round tables, as well as specific meetings, a film festival and a small promotional fair, in which representatives of the different itineraries of the world that are part of the World Trails Network will participate.